It is postulated that today we are in the midst of a major paradigm shift in the communications industry. The essence of this paradigm shift is a transition from today's universal telephone service which has been perfected over the past 100 years, to a future communication service environment, referred to as universal personal communication. Under this new paradigm, communications will be person based in contrast to the predominantly location-based communication environment of today. Societal trends, evolving global standards for communication, regulatory policies, and emergent technologies are seen as the forces driving such a transition. Universal personal communications will be characterized by flexible access to universal services permittingmore enduser control which will result in personalization and customization of such services. Furthermore, the centralized intelligence focus of today's communication networks needs to evolve toward a focus where network intelligence can be migrated to the periphery of the core transport network. The viability of universal personal communication will be critically dependent upon how well it addresses the end customer value proposition. Two key elements of this proposition are transparency of mobility and personalization of service environments. A zonal service environment model which classifies and characterizes these various service environments in terms of common communication parameters is proposed. 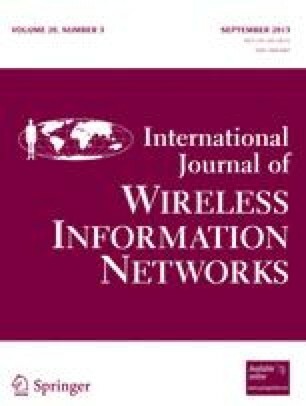 This model is built around hierarchical structures for both cellular and digital wireless transmission, and can be viewed as critical towards the realization of transparent mobility management and personalization of services.